Now that we have released our latest Mac application: Tags 2, we needed a little break. We were happy to hear, see and read all the news about the iPad and having some time to think about the impact and opportunities this new device will result in. Apple gave developers this shiny new version of their SDK to start developing applications for the iPad. But there is one big problem with the SDK. The SDK can’t give you a feeling about how the device feels in your hands, how tall it is etc.. Developers need this to get a feeling about how the user interface of apps must look like. Questions like where a button must be placed to be reachable while you are holding the device with both hands can’t be answered by the SDK emulator. Back when Apple released the iPhone SDK we all already an iPhone or iPod Touch in our hands for months. This time around we are developing applications for a device we have never touched, or even seen in real life. So what can you do to get a better feel for the iPad? It’s easy. 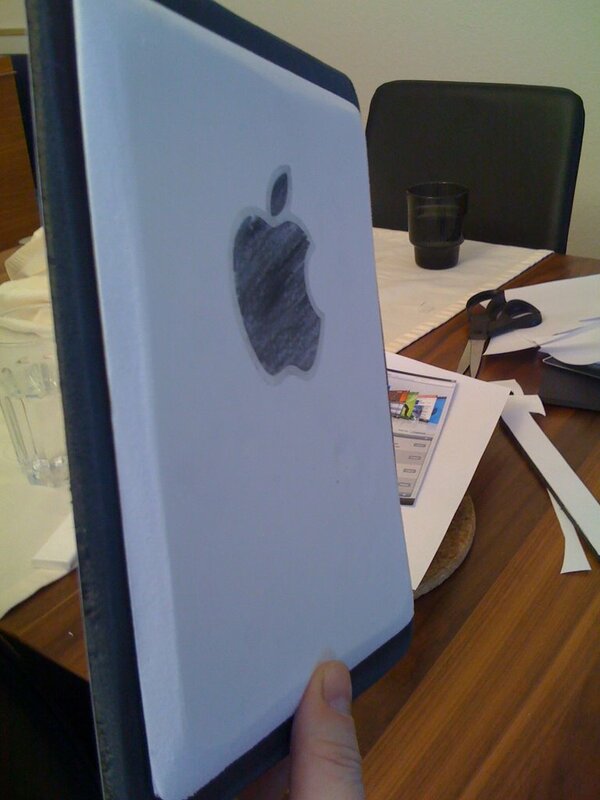 Build your very own iPad. Two A4/Letter Size pieces of cardboard we used was about 0.20inch/0.5cm thick. 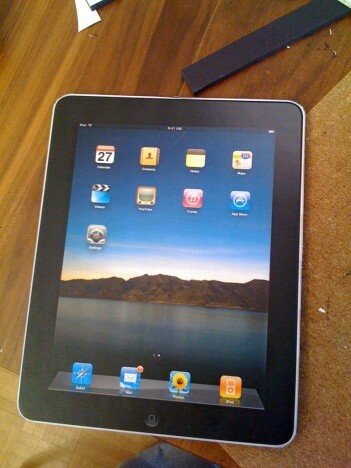 Cut out the iPad from the printout and glue it on one of the pieces of cardboard. Use the box cutter knife and a ruler to cut the cardboard. 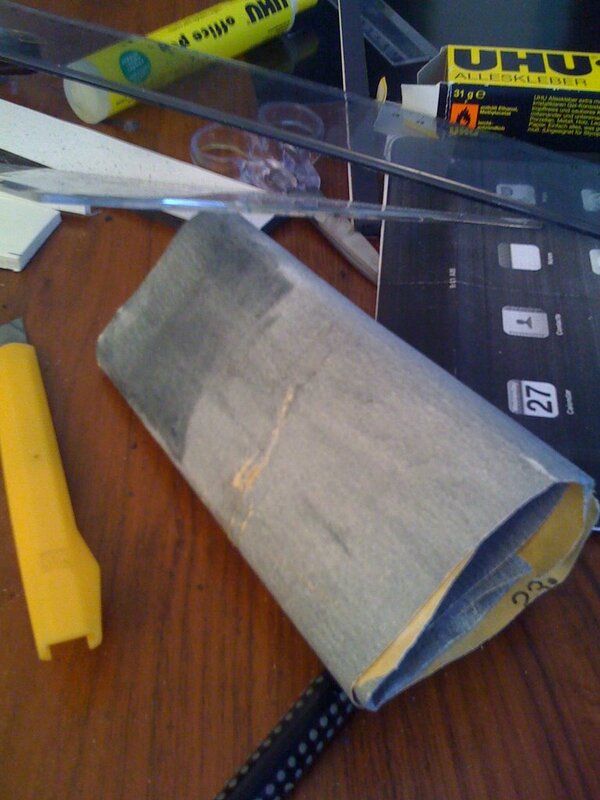 Then use sandpaper to flatten the edges of the cardboard. Cut the second piece of cardboard, but make it a little bit smaller than the first one. Use the sandpaper to flatten all four edges (we used the white cardboard for this). If you are using a white cardboard then you can color the Apple sticker with the pencil and place it on the cardboard. Glue both cardboard pieces together and use sandpaper to finish off all the edges. 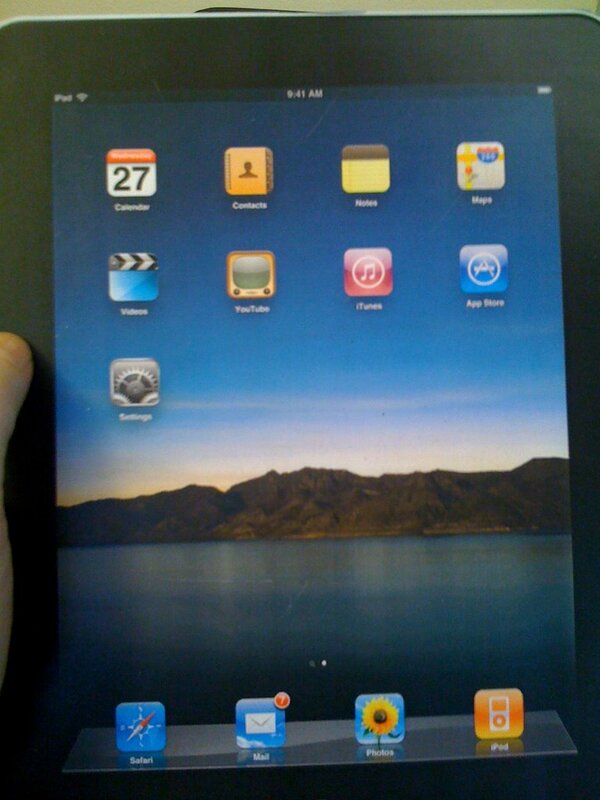 There you go: your virtual iPad! To get a feeling of the weight of the iPad you could add a metal plate between the two cardboard pieces. You could just cut out a piece in the back and place a metal plate in there. 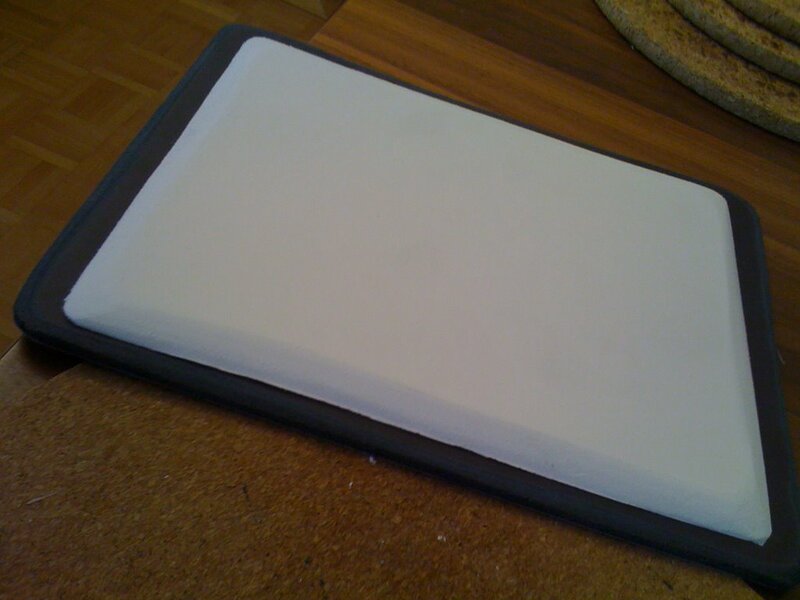 So far we are happy with our DIY iPad. It fulfills the purpose of giving us a good idea of what the real device will feel like. I was surprised about the size. It’s much smaller than I thought. I guess the perspective of some of the keynote pictures gave me a wrong impression about the actual size. And as far as I can say from the virtual iPad, the width of the border around the display feels just right. Good luck building your own!